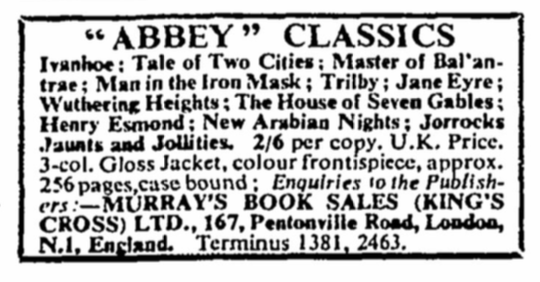 Seemingly unrelated to the firm of John Murray, the firm of Murray’s Book Sales also appears as Murray’s Sales & Service Co., Murray Remainder Books, Murray’s Children’s Books, and the Murray Group. 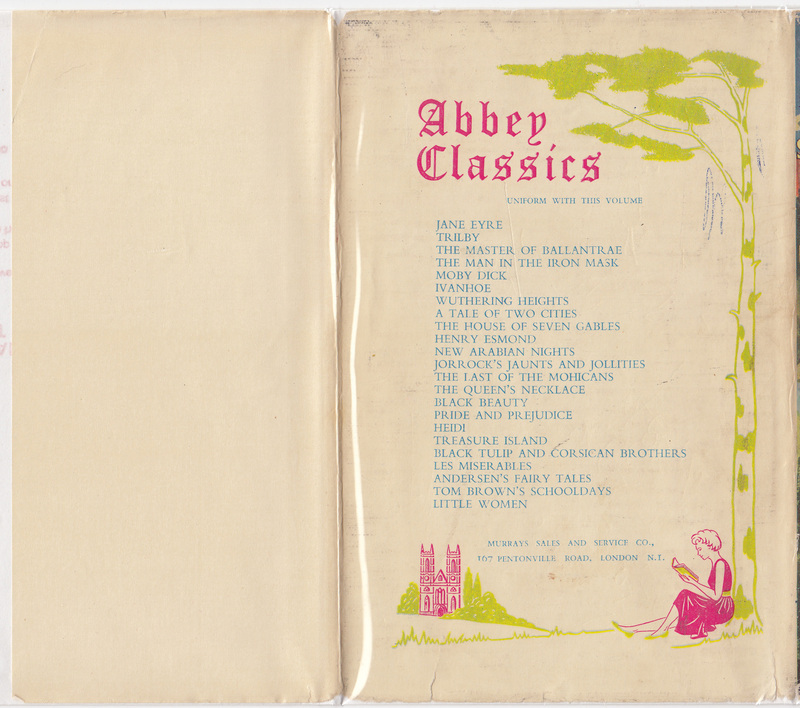 I suspect the firm was a post-WW2 dealer in remainders that expanded into publishing a few inexpensive reprint series (the Abbey Library and Abbey Classics), possibly using plates acquired by their remaindering business. 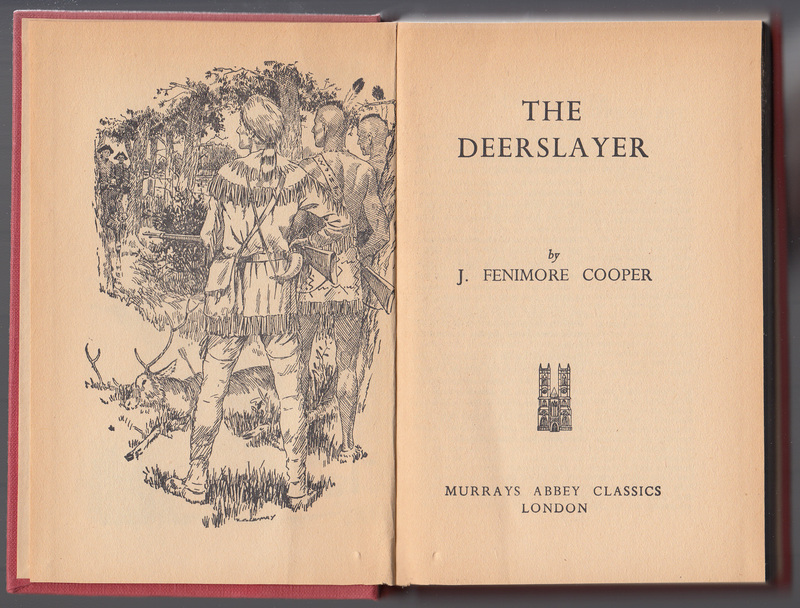 I’ve used Murray’s Book Sales as the publisher as this is the name most commonly used in WorldCat entries. The last titles by the firm appear around 2000. 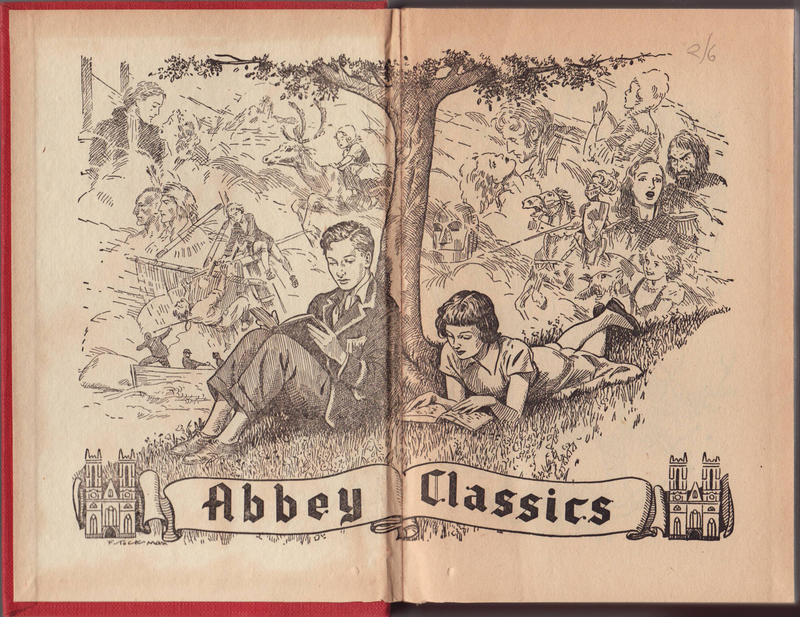 The Abbey Classics name was used for a scholarly reprint series published from 1920-1937 by the publishers Chapman & Dodd, Simpkin Marshall, and Small Maynard. 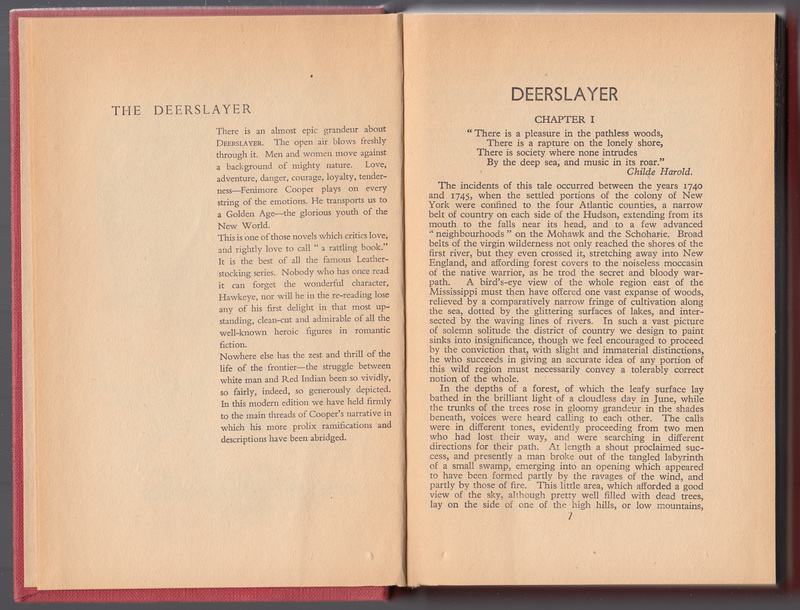 Around 1955, the name was adopted for a series of generic classics aimed at a young adult market. 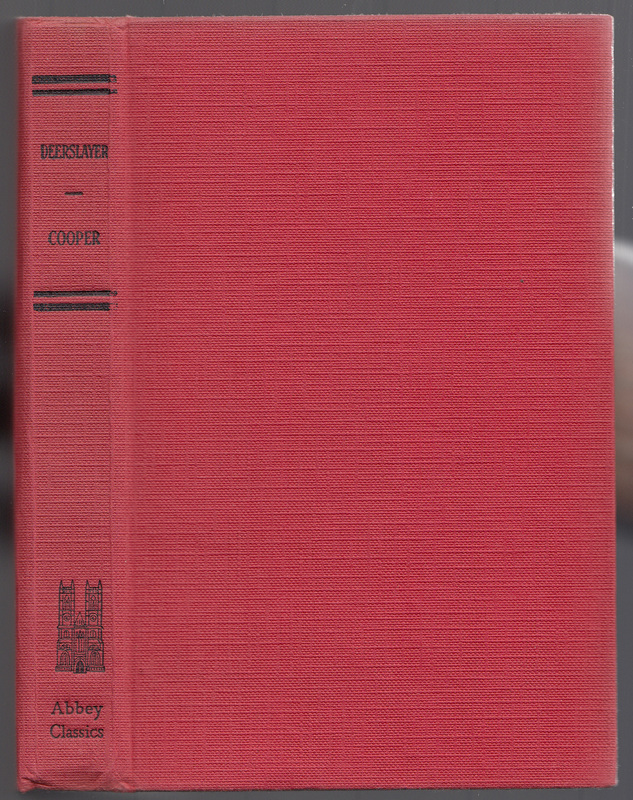 The paper used in this series is cheap and coarse and the binding crude. The Times Literary Supplement (London, England), Friday, November 4, 1955, Issue 2801, p.664. 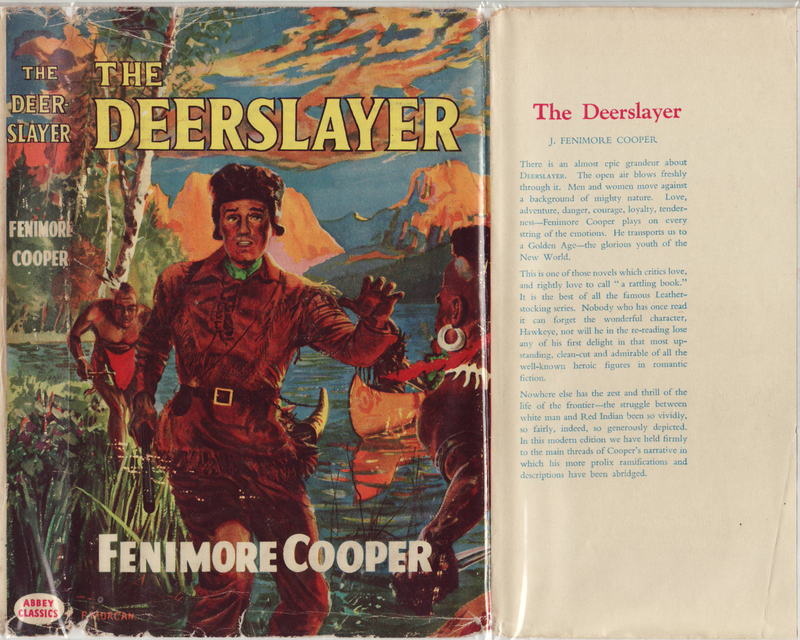 The jackets were undoubtedly designed in a probably ill-fated attempt to stir the interest of mid-1950s British youth. 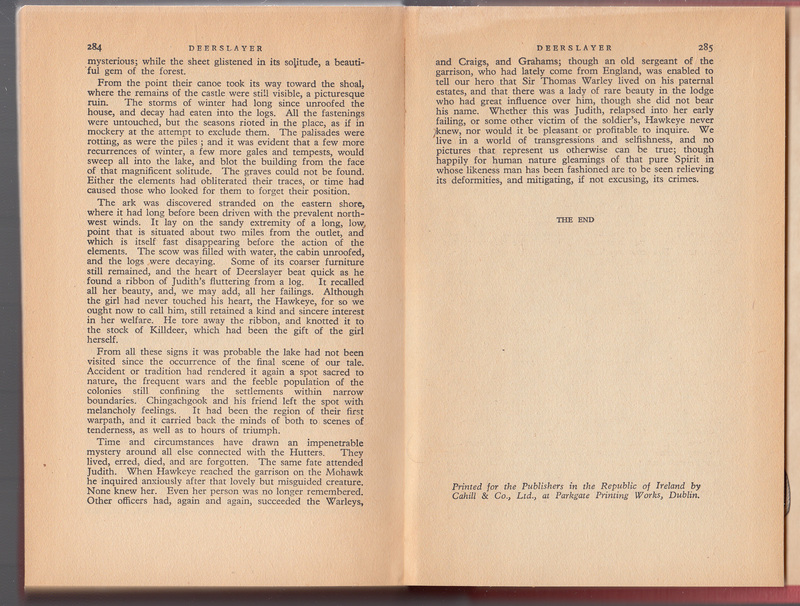 A blurb about the book is included on the jacket flap.